CES, massive, exciting, crowded, a deluge of information all at once. With so much going on, and so many new products being released by so many different manufacturers, sometimes big things can get lost in all the noise. For example, we mentioned recently that audiophile in-ear monitor maker Shure dropped a bomb at CES with the introduction of Lightning tipped cables that users can swap into their existing IEMs so they can use them with newer Apple products. Other big name audio titans are responding with models of their own. Every audiophile knows the AKG brand and the quality that comes with it, so when they announced they were releasing their own Apple-exclusive lightning-cable earbuds, it got people talking..
As it turns out, Shure wasn’t the only audio giant looking to port their acoustic tech over to Apple users. 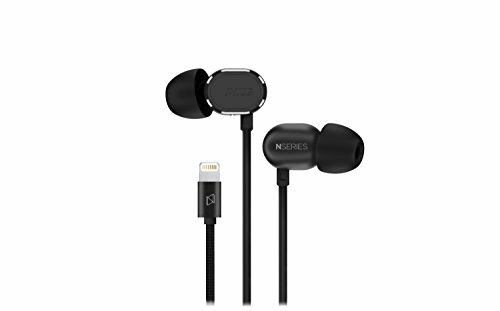 AKG, another audiophile-level headphone maker, owned by Harman & Kardon (who also own JBL, Infinity as well) dropped their own bomb (that nobody heard) in the announcement months ago for their all new N20LT earbuds, which features a Lightning connector that “enables lossless digital audio connection with iOS devices” as stated in their own press release. From the sleek all-black design, to the materials used and AKG’s famous signature sound, these little bad-boys are sure to delight. What do we know about the N20LT’s? Well, firs of all, there are two N20 models.. the N20U and the N20LT. AKG hasn’t said what the “U” stands for in the first model, but it can be assumed that the “LT” in “N20LT” stands for “lightning”. Congratulations AKG on making the move, as the world desperately needs better options to Apple’s stock earbuds, dongles or dumb Airpods. Also, applause to Harman and Kardon, as this is the second Lightning cable headphones they’ve pushed out, with the fantastic active noise cancelling Active Aware’s from JBL already building a steady following of happy Apple users.